Welcome back to the First Monday Library Chat. Today we’ll be learning more about the Wangensteen Historical Library of Biology and Medicine at the University of Minnesota. Dedicated initially to the history of medicine and surgery, the collection has grown considerably over the past fifty years to cover all academic health center disciplines, including nursing, pharmacy, veterinary medicine, and the history of biology. The collection has 80,000 rare books, manuscripts and serials ranging from 1480-1930. Today I’m talking with Lois Hendrickson, curator, and Emily Hagens, PhD Candidate in the History of Medicine. Can you give us an overview of some of the rare and unique items in your collection? Having just finished installing our most recent exhibit celebrating the 500th anniversary of Vesalius’s birth, we’ve re-examined many books from our deep and rich anatomical atlas collection. We have an especially complete collection on Vesalius and the history of early modern anatomy, including a rare German edition of Vesalius’s Epitome (1543). I’m especially taken with items that resonate with other materials in the collection. A recent manuscript acquisition, an inventory of an unnamed apothecary shop in mid-17th century Toulouse, has the potential to shed light on our growing collection of medicinal recipe books and our pharmaceutical materials. Divided into sections, it lists merchandise, equipment, and client accounts, all offering a rare picture of the activities and contents of a pharmacy. 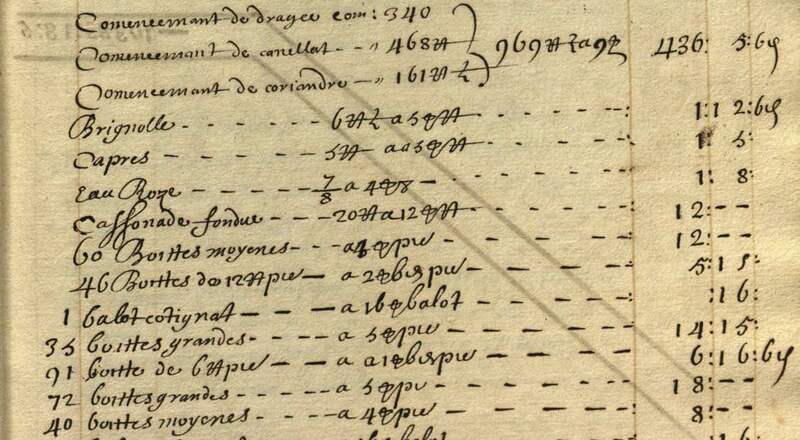 Inventory of an apothecary’s shop in Toulouse, 1645. Courtesy of Wangensteen Historical Library of Biology and Medicine. The history of biology (natural history) materials are also compelling. Many rare books from our conchology, bird and insect collections have been borrowed and featured in recent exhibits on Audubon, shells, butterflies. A particular favorite is Danish physician Ole Worm’s Museum Wormianum (1665). The frontispiece of his catalog depicts a cabinet of curiosities ranging from native artifacts to fossils, and inspires many conversations with students about collecting and classification. I’m fascinated by the Pamard archives, which represent the work of seven generations of a French family of opthalmological surgeons founded in Avignon in the late 17th century. Are there any recipes in here? Are there related letters and diaries that might help us contextualize these recipes? Among the extensive personal and professional papers, students’ notes, correspondence, hospital records, public health notices, statistics, and poetry, there are remedies, recipes, and diaries. 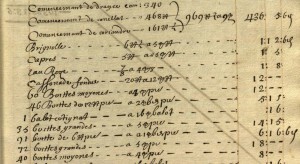 In particular, the papers of Nicolas Dominique Pamard (c. 1702-1783) contain numbered remedies, lists of items related to them, and dosing advice. Another of his undated bound books is labeled as a “Collection of Secrets and Remedies of Experienced Knowledge.” His grandson, Jean Baptiste Antoine Bénézet Pamard (1763-1827) used local interactions and experiences to study the health needs of the general public. He published a medical topography of Avignon including observations on climate, water supply, and the nature of the local people. His personal notebook, which he referred to as his ”journal of observations on myself‟ is a mix of medical etiology and family observations. It was a place of self-reflection, and shaped the way he viewed himself. It may be interesting to see if there are parallels in medicinal recipe manuscripts; how did the authors view themselves, and did they have similar experiences to physicians when distinguishing between symptoms (a patient’s report) and signs (markers of disease). These records have been the basis for the masters thesis “Constructing Identity in the Romantic Age: The Medical Writings of Jean-Baptiste Antoine Bénézet Pamard (1763-1827)“, but much more could be gleaned from this rich collection. I understand that you have a growing collection of manuscript recipe books. Can you tell us more about the scope of your collection? Why do you consider this genre to be of importance? We collect manuscript recipe books with a medical focus. They range in date from 1552 to 1890, and while many are in English, we also have some in French, German and Chinese. The Wangensteen Library’s primary identity is as a teaching library. 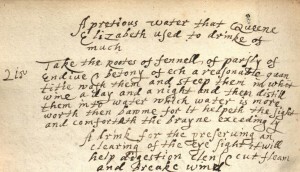 On a very basic level, manuscript recipe books are powerful resources that resonate with students because they contain tangible evidence of actual historical people. The evidence of practice helps students connect with early modern history, and leads them think about how individuals formed relationships with particular kinds of knowledge, as well as knowledge producers around them, and how they applied this to everyday problems. Students come to the Wangensteen Library with a background in a variety of disciplines, including the expected (History of Medicine and Science) and the unexpected (English as a Second Language, Art, and Rhetoric). Because of this, we’re always trying to think of new ways to make the collection relevant to a broader group of disciplines. Knowing that recipe books cover so many topics, we have planned an interdisciplinary workshop on recipe books for spring 2015. Funded by a small grant, we expect graduate students and faculty from the departments of Spanish & Portuguese, History, the History of Medicine, as well as special collections staff to participate and see what we can uncover together within the same sources. Can you highlight one or two of your favorite items? It is hard to pick just a few books to highlight! 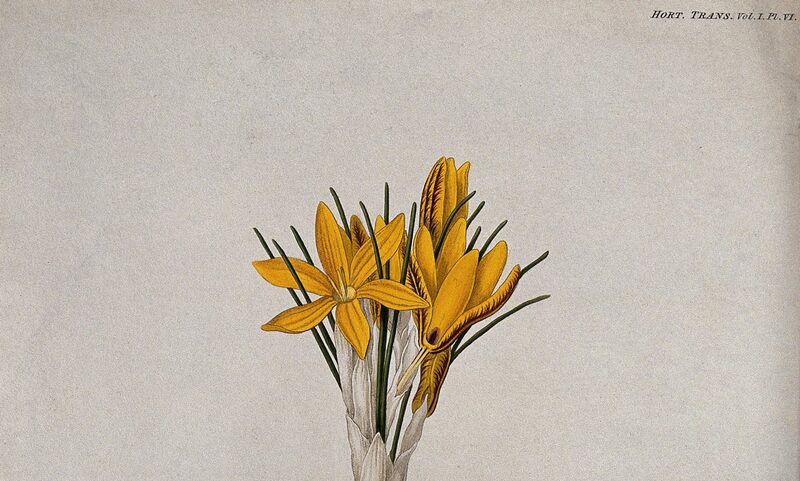 Emily’s favorite book is a 1542 De Historia Stirpium by Leonhart Fuchs that is completely colored. The way readers have adjusted the images and heavily annotated the text helps students understand the fluidity of, what they view as, obvious botanical knowledge in another time period. Lois likes our collection of patent medicine almanacs which promoted and sold compounds as medical cures. 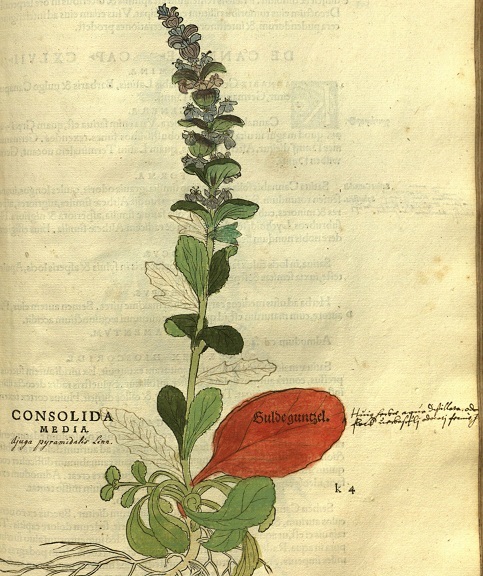 The intersection of medicinal recipe manuscripts, pharmacopeia, herbals, botanicals and self-help manuals juxtaposed against the variety of patent medicine almanac’s promotional styles – color comic books, song books, and calendars helps students understand the continuum of ‘cures’ and the nuances of scientific inquiry coupled with the influences of social sciences and humanities. Leonhart Fuchs. 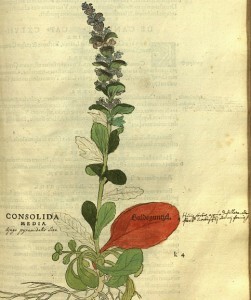 De historia stirpium commentarii insignes, 1542. Courtesy of the Wangensteen Historical Library of Biology and Medicine. Will any digitized versions of these manuscripts be available online? Yes! The Wangensteen recently won a grant that will allow us to digitize a subset of the recipe books. They will hopefully become available online in the next year. That’s great news! And have you found pedagogical value in these recipe books? Do any U of M undergraduate or graduate students use these manuscripts in their coursework? 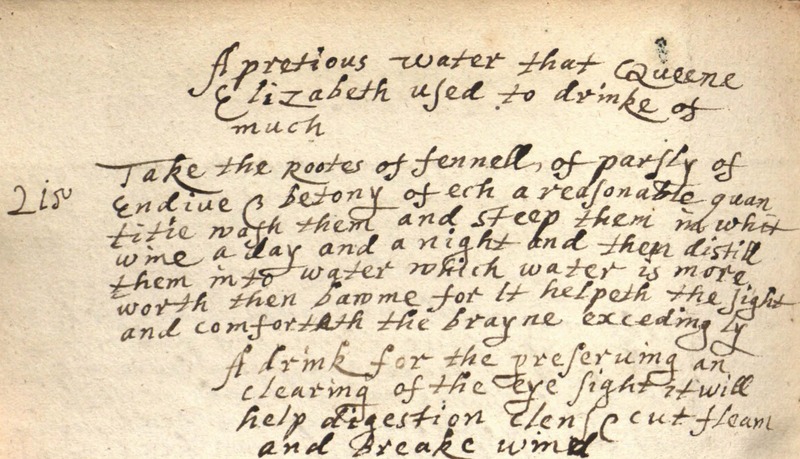 We frequently use the Mary Pewe’s recipe book in history of science and medicine courses that visit the library. It is convenient to teach with because it is in English, but more importantly, the handwriting is easy to read and students can recognize a lot of what they see in it. We always try to have it open to the page that lists a recipe from Queen Elizabeth, a name that always gets some ooh’s and aah’s. We also have an 18th-century recipe book from the southern United States that is useful in class visits. The combination of medical and culinary recipes in it forces students to reevaluate their own ideas about the intellectual space that both practices occupied. Mary Pewe. Medical Receipts. 1637? Courtesy of the Wangensteen Historical Library of Biology and Medicine. Emily frequently uses the recipe book collection. When she became interested in them as a genre, it was great to have access to several items from different time periods to work with for course papers. The scope of the Wangensteen Library in general has provided her with access to many supporting materials as well, such as printed recipe books, herbals, and medical manuals that early moderns probably used when compiling their manuscript recipe books. Other graduate students have used the Pewe to investigate sugar, moving beyond global trade, to thinking about its’ use and availability to the general populace as evidenced in recipe books. Still others have used it to brush up on their paleography skills of deciphering, reading, and dating historical manuscripts. Thanks, Lois and Emily, for chatting with me! The Wangensteen Historical Library is available to students, alumni, and the general public. Please contact the Wangensteen for more information.